The NCSH Robot Club is a new member of the NCSH club family. After a semester of preparation, our club finally started this year. In the early stage of our preparation, we faced complicated problems such as space and fundraising, and also confronted intricate issues concerning the type of robot we should choose for our club. I suggested getting LEGO EV3 robot, for it is relatively easier to build and control, and there are various EV3 related competitions nationwide. Amanda, our Director of Academic Affairs, however, thought that what we could do with EV3 is too limited and we could only use simple technologies from LEGO on this robot. 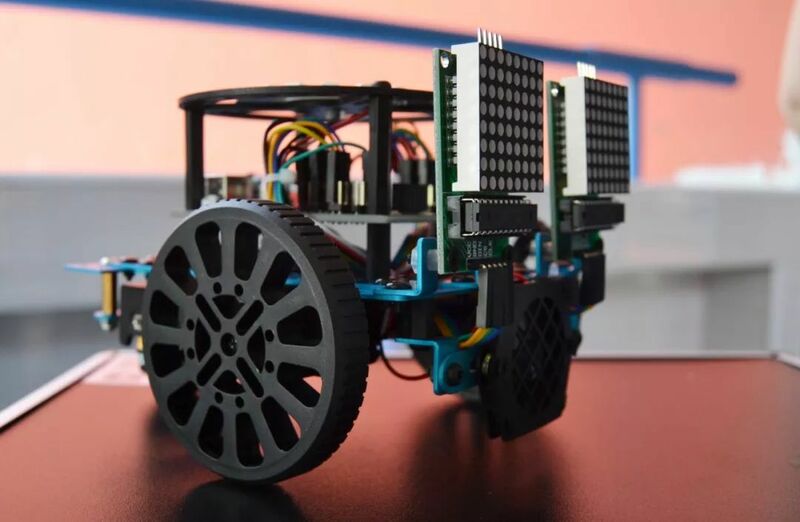 Finally we chose Arduino robot which is built for both hardware and software –oriented projects. This type of robot is very difficult to work on, but it greatly stimulates capacity for creativity. Our members did whatever they wanted on the baseboard of Arduino. In our club, we divided our members into two groups to learn the Arduino programming. Working like a team, we helped each other with problems that were hard to be solved by individuals. Everyone including the instructor will join a discussion if one member finds it difficult to handle a problem. This really help us learn to cooperate with each other and solve problems efficiently.